Front pannier carrier, designed for use with small front panniers. Made from Reynolds 525 tube. 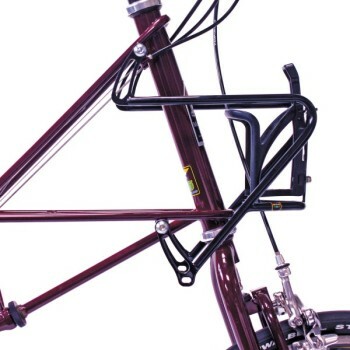 Provides mounting plat for any water bottle cage. (Water bottle cage not included).